Friday, July 8th, from 7 p.m. to 8:30 p.m.
at McCoole’s Arts & Events Place, 10 S. Main St. Quakertown. This will be the east coast premiere of this classic detective story based on the Dashiell Hammett’s novel and written by Helen Borger. 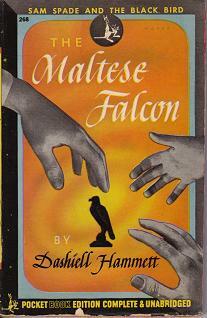 The Maltese Falcon will run September 23 – October 9th at McCoole’s Arts & Events Place. Actors will read from the script. Also needed are a stage manager, and light / sound volunteers, as well as box office / concession volunteers. For more information or directions, please call 610.395.7176, email ckplayers@rcn.com or visit www.barliebwallace.com. If you are unable to attend either audition, but would still like to be considered, please call or email and we will do our best to see if we can see you at another time. You are currently browsing the McCoole's Arts & Events Place blog archives for July, 2011.